We want to access information from anywhere and everywhere and no longer have the patience to wait. From this point of view, interactive kiosks can lay claim to being the most creative and useful installations to the urban landscape, eliminating the need for personnel and extended paperwork and speeding up routine activities. Interactive kiosks come in many shapes and sizes and can be found everywhere around us. You’ve probably already used one for your financial transactions or to buy a train ticket. The use of interactive kiosks is currently expanding to countless industries. You can buy a ticket, request a taxi, order your meal at a restaurant, check in at the airport, access your medical files, print a photo or search for information about the city you are visiting by simply touching a few buttons on a screen. Every kiosk is designed for a different purpose and gives the enduser enough auditory and visual tools to get his/her job done. The “dialogue” with the kiosk software is usually done via a touch screen display and the menu is intuitive enough to be understood by everyone. Navigating through a menu which the enduser rarely uses can be a low quality experience; considering that if the user gets lost along the way, they are unable to figure out which options to choose. It is very frustrating to enter information and go up until the end of the process just to see your efforts denied by a system error, or in the case of ATMs, your card is “swallowed” by the machine. 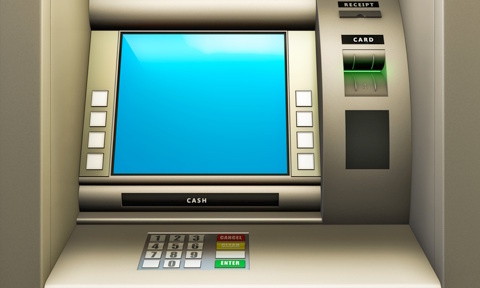 Considering an Automated Teller Machine (ATM) kiosk and a Conference Kiosk as two parallel comparisons, they cannot be designed in the same way. A kiosk is basically a computer designed to enable people achieve a specific task with minimal levels of interaction. Two main features are central and key when giving life to an interactive kiosk: accessibility and consistency. Generally speaking people tend to have little patience with technology and lose patience very easy when things do not go smoothly. While the hardware plays a major role, it is the software which interacts the most with people and therefore must be 100% perfect. The software used for an interactive kiosk can be considered a positive USER EXPERIENCE (UX) if it provides recognisable iconography, clutter-free interface, a very long uptime (free from unexpected errors and crashes while hosting delicate processes (like financial transactions and personal information handling) in a secure environment. Kiosks are usually built to be very resistant to any unauthorised breaching attempts. Durable materials and very well considered structural processes are key elements that make a kiosk safe to be left unsupervised and open for unlimited public use. Whether we are talking about inside or outside locations, kiosks should be designed to withstand impact and discourage any theft attempt. Like a nut, the outside shell of any kiosk should be hard to crack. Any business planning to use a kiosk must align itself with a bespoke service who will carefully plan and design kiosks; paying attention to every detail of your business actions and, most important, to every interaction your potential customer will make. Using a bespoke design service to build an interactive kiosk for your business is always better, safer and cost-effective than limiting your business to a standard off-the-shelf kiosk. Although software and construction quality should always come first as the main assets of your kiosks, you should not neglect design. Design is in most of the cases the “x factor” that drive new people to choose you and your business from a large pool of businesses offering very similar services. It is the design of your kiosk, powered by a curated software application which combines cultural anthropology, symbolism, iconography and visual design, that will raise eyebrows on the streets and make people think: “What is that? I want to know what it is and what it does.” Functionality and reliability will only add up to the efforts of transforming a visit triggered by curiosity to constant use. Using bespoke kiosks means that each unit is designed and manufactured according to your specific needs, requirements and preferences. Reaching for bespoke services also means you will most likely receive extended assistance and information exchange during the whole process, from the drawing board up until the assembly line. Colour, materials, functionality are all variables for you to play with. Even though we know that most of the designing should be left to professionals, even the smallest involvement will enable you get the exact kiosk that addresses your business needs. Interested in bespoke interactive kiosks? Contact Ofamfa Design Studio now.